Premier Li urged treating all types of enterprises equally, at a symposium in Taizhou, Zhejiang province, on Sept 28. Premier Li presided over a symposium in Zhejiang province, inviting 22 entrepreneurs to make proposals on the economy. 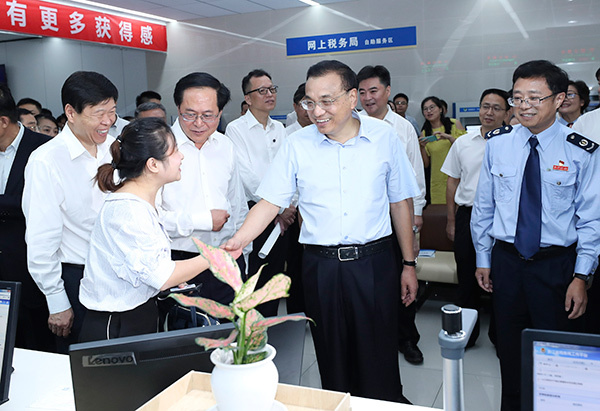 Premier Li Keqiang urged Zhejiang province to fully take advantage of its coastal location, and attract global capital, technologies and talent.